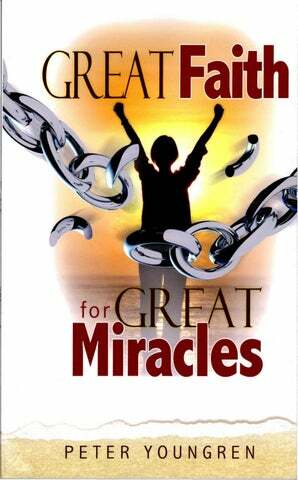 ISBN 1-895868-50-5 Great Faith for Great Miracles Copyright © 2006 by Peter Youngren Celebrate Jesus International PO Box 490 Niagara Falls, NY 14303 USA PO Box 968, St. Catharines, ON L2R 6Z4 Canada Robinson Road Post Office PO Box 647 Singapore 901247 PO Box 24 Chorley, Lancashire PR7 2GE UK Unless otherwise indicated, all Scripture quotations are taken from the New King James Version of the Bible. © 1979, 1980, 1982 by Thomas Nelson, Inc. Publishers. All rights reserved under International Copyright Law. Contents and/or cover may not be reproduced in whole or in part in any form without the express written consent of the Publisher. us. Jesus stated that even the smallest measurement of faith, a grain of mustard seed, is enough to speak to a mountain of impossibilities and it will be moved. Consequently, to enjoy "great faith" is a key to God's unlimited blessings. We certainly want to know what "great faith" is, but more importantly, how do we get it? The answers may surprise you. In fact, the two individuals Jesus referred to as having "great faith" didn't even seem to know that they had "great faith." Interestingly, they appear to be unaware that they had any faith at all, and neither one of them showed any concern about attaining faith. Still, Jesus said they had it. their lack of faith. His words were, "Oh ye of little faith," or "Why do you have no faith?" In fact, the only time you see Jesus slightly irritated is when He notices lack of faith in the disciples. So much more reason for us to pursue faith, since we certainly do not want to frustrate Jesus. The Book of Hebrews says, "But without faith it is impossible to please Him, for he who comes to God must believe that He is, and that He is a rewarder of those who diligently seek Him." (Hebrews 11:6) Again, we are faced with the crucial necessity of faith. have faith, the more it seems we never quite have it. It seems as elusive as the rainbow. You see the rainbow in the distance with its beautiful colors and majestic arch; yet as you race toward it, it vanishes out of sight completely unattainable. Some simply give up. You can hear them sigh, "Faith is not for me. It works for others, but I can't get it to work in my life." sible cases. At the same time I walked away from many a service with shouts of rejoicing echoing in my ears as people celebrated the miracles that happened. I rejoiced with the others, but in my mind's eye I could also vividly see those who had not been healed. My heart ached for them. I have seen the lame walk, but I have also witnessed scenes where concerned Christians gathered around a wheelchair encouraging the sick person, rebuking the devil, even lifting the suffering one out of the wheelchair and trying to get them to walk only to have to put them back in the chair. This is a far cry from Jesus, who said that faith in the smallest measurement conceivable meant "nothing will be impossible." I don't claim to know everything, but the truths I share in this book are answers to questions I have had. My own soul has been satisfied by the answers I bring to you. Jesus has ministered these truths to me and faith has become easy. When we cease our pursuit of faith and allow the sweet presence of Jesus to flow through us, astounding miracles happen. All things are possible when Jesus' own faith becomes our faith. This is the only faith that works. God's promises are "yes" and "amen" in Jesus. This way God gets all the glory as He works through us. We cannot credit our own diligence or any goodness in us, but all the credit goes to the Lord Jesus Christ. who has blessed us with every spiritual blessing in the heavenly places in Christ." (Ephesians 1:3) Here we clearly see that God already has blessed us with every spiritual blessing. We don't need to ask for that which we already have. This is an eye-opener to many. God has already blessed us. Now the proper prayer is to thank God for the blessings we have in Christ. When everything around us looks dark and hopeless, we still praise God for what His Word says we already have. At times we need to ask the Holy Spirit to open our eyes to see what we have now. Paul the apostle prayed, "The eyes of your understanding being enlightened; that you may know what is the hope of His calling, what are the riches of the glory of His inheritance in the saints, and what is the exceeding greatness of His power toward us who believe, according to the working of His mighty power." (Ephesians 1:18-19) Do you see the stark difference? In the Old Testament people prayed in order to get blessed. Now in the New Covenant, we ask God to show us more clearly the inheritance we already have. In order to have great faith it is very important to recognize which side of the cross we live in. We live after the cross; Jesus has already put away the world's sins and carried our sicknesses. This is vastly different from life prior to Christ's death and resurrection. Christ's righteousness has now been credited to our account, and on the basis of His righteousness we inherit all of God's goodness and promises. We no longer love in order to obtain God's love; we love God because He first loved us. We pray not to obtain the victory or the blessing, but because the victory is already ours in Christ. Similarly, we don't try to have faith by our own effort, but we have faith because we are linked with the author and the finisher of our faith, who is Jesus Christ Himself. The two individuals who enjoyed "great faith" connected with Jesus and saw their "mountains" move. How did they tap into this Jesus-kind of faith? What was their secret? The purpose of this book is to help the reader discover Jesus just like the two people who had "great faith" discovered Him. Almost invariably before I preach or even speak one-on-one with a needy person, I ask the Holy Spirit to reveal Jesus to people. My best sermons will be ineffective and my prayers will be powerless unless Jesus is clearly shown to people. That's my prayer for you, that the Holy Spirit will reveal Jesus, and that He will become big to you. dinary faith? Are there differences between her and the Roman centurion? What are the common denominators? How can we learn from them? Before we answer these questions, let's look at what "great faith" is not. If we look for faith in the wrong direction we'll come up empty. I don't claim to know everything. I know that I am nothing in myself, but the Lord Jesus Christ has poured this understanding of faith into my heart by His grace. I've spent more than thirty years in Gospel ministry, and all throughout those years God has blessed me. Still today, I vividly recall the first tangible healing of a deaf person that I witnessed as a nineteen-year-old preacher conducting a three-week conference in Toronto, Canada. It shocked me. I knew this was something real. great miracles in Europe and North America. "The faith level is just too low," is another logical explanation that I have heard and sometimes used myself. I've heard preachers recommend to a sick person, "You must read more healing books and listen to more teaching tapes on faith." I have given the same advice. Still inwardly, I knew I was missing something. You will discover that the key to faith is to cease from all our pursuits after faith, and instead connect with Him who is our faith, Jesus Christ, the author and finisher of faith (Hebrews 12:2). As you allow the Holy Spirit to minister this to your heart, the faith of Jesus will increasingly flow through you. In Him you will find the answers that you may have sought for a long time. prayer on some flaw in your past. Maybe you lived a rebellious lifestyle and now you view this as an obstacle to God's blessings. Your miracle will never come by looking to your failures or past shortcomings. When looking at yourself you will only distance yourself from God's provision. at all. On the contrary, he was relaxed, even laid back. Jesus offered to corne to his house and heal the servant, but the centurion was not anxious for any special visit by Jesus. Should not the centurion have "pushed" with all his might for Jesus to corne to his house as a sure way to a miracle? Instead, the centurion was relaxed, not looking for any special visit or touch from Jesus. He knew Jesus is so great that it would be enough if He would "speak the word only." Being pushy for your miracle is not wrong or right in and of itself. I'm merely showing it is not a common denominator for "great faith." The Canaanite woman was pushy; the Roman centurion was not. If someone is pushy or demanding for prayer, it may indicate a sense of panic; faith and panic never work together. Maybe you have blamed your lack of receiving from not pushing hard enough for your miracle. You condemn yourself for not trying hard enough. This may have become a burden around your neck as you push yourself ever harder to attain your miracle. Perhaps you are struggling, shouting rebukes at the devil and faith commands at yourself, and still nothing is happening. Be at rest, there is a better way. You can have great faith, but it doesn't come by our effort, struggles or our spiritual performance. Let the weight of human inadequacy fall from you. No miracle of God has ever come because of what we strive to do, but only because of what Jesus has done. To insist or push in your own strength for God to give you something has nothing to do with receiving your miracle. Every outstanding miracle I have witnessed has come with great peace. There's never been the case of us rolling up our "spiritual" sleeves and getting into heavy-duty boisterous screaming and rebuking of the devil. When we try to make a miracle happen, we come up empty; just like Jesus' disciples who fished all night and caught nothing. Our own efforts don't produce results. Instead, we are left disappointed, with perplexing questions and at times physically exhausted. In every one of our Gospel Festivals we see scores of lame, deaf and blind healed, not once in a while, but consistently. If I were to draw a single truth about faith out of these experiences, it would be that the greater the peace and the rest, the less we struggle and the more actually happens. The more we try to make it happen, the less we see tangible results. Interestingly, we find some contradictions between the behavior of the Roman centurion and the Canaanite woman. One was pushy; the other one was laid back. One seemed to understand submission to authority; the other one did not. Yet neither of these characteristics seemed to have any bearing on their ability to have great faith. Now let's look at what these two with "great faith" have in common. try. When we willingly come to Jesus Christ, He imparts His faith to us. It is two sides of the same coin. On the one hand, Jesus is our faith. On the other hand, when we come to Him, He imparts His faith to us. We are saved by grace through faith. Faith is not of ourselves or from our effort; it is a gift of God (Ephesians 2:8-9). This idea is revolutionary. If this truth sinks into our hearts, faith will never again be the same to us. faith. We have a better way. We connect directly with Jesus, the author and finisher of faith. We have a relationship with Him. He is the indwelling Christ in us (Colossians 1:27). This truth is in line with the theme of the whole Book of Hebrews. The key word is "better." Jesus is better than the angels, and better than Aaron and Moses. The voice of God's Son is better than the voice of the prophets, and His blood is better than that of goats and calves. We have a better High Priest than the one in the Old Testament and the New Covenant is better than the one which came through Moses. This doesn't mean that the angels, Aaron, or the blood of goats and calves were bad. The writer of Hebrews doesn't suggest that the prophets were evil or bad; not in the least. All of these had their place, but Jesus is better. There is no indication that the writer of Hebrews is suddenly changing the theme when he comes to chapter eleven. The list of Old Testament heroes are given in contrast to that which is better. We don't exercise faith the way they did because we have something better - we have the faith of Jesus. This is not a critique of the Old Testament heroes. On the contrary, they believed God according to what was available in their time, but our time is different. We live after the death and resurrection of Christ. Faith is "better" now. We have much more than a divine word; we have Jesus Himself. FAITH OF CHRJST Faith in Christ is good, but the faith of Christ is greater. Look again at the apostle Paul's words, "I live by the faith of the Son of God." (Galatians 2:20 KJV) Some translations have written, "faith in Christ" but the King James Version of the Bible accurately says, "faith Qf Christ." Faith of Christ is the only rendition of the verse that makes sense. Paul says we are crucified with Christ, and a "crucified" person is dead. The only hope for such a person is that the life of another is lived through him. We have been crucified with Jesus Christ, and now He lives in us with His wisdom, faith and love. This is the awesome key to the entire life of a believer in Jesus. We have become new creations in Christ (2 Corinthians 5:7). We are recreated in the image of God. Our life can never please God, but we have died from the old life. Instead, we have the glorious opportunity to yield to Jesus and allow His righteousness, love, joy and faith to flow through us. The apostle Simon Peter called it, "the faith which comes through Him." (Acts 3:16) Faith was not the product of Simon Peter's effort. No, the miracle-working faith Simon Peter experienced was all wrapped up in Jesus; faith which "comes through Him." The greater Jesus is to you, the greater your faith. If your faith seems small, focus on Jesus more. Ask Him to help, strengthen and heal you. are yours. The important point for us to consider is how great Jesus was to the Canaanite woman. She saw a great Jesus and Jesus saw "great faith." but it's not the faith that produces miracles. That kind of faith comes not from trying to get it - it comes from Jesus Himself. You'll find real faith only in His presence. This is so simple that many miss it altogether. Call on Jesus. Ask for His help. He will not fail you. Don't rely on theological beliefs or your years of Christian service. Approach Jesus like a child would his parent, expecting that He will give you mercy. of Jesus Himself flowing through you. Faith is not a condition of our mind; it is a divine grace. A truckload of mental believing produced by human effort and struggle will do nothing, but a teaspoonful of the faith of Jesus will move mountains every time. The good news is that Jesus makes this faith readily available. You only have to corne to Him, callout for Him, and draw near to Him. "But as many as received Him, to them He gave the right to become children of God, to those who believe in His name." (John 1:12) It's all wrapped up in "Him," "He" and "His." He does the work and we receive the benefits. but mercy and grace flowed freely to the one who came "without one plea." All our mental attempts at faith will avail nothing. When we come to Jesus without anything of our own, the floodgates of His mercy and love open wide to us. PEACE IN TI--[ESTORM On another occasion when Jesus and the disciples were in the boat, a raging storm threatened to drown them. The disciples were on the deck crying out to God, commanding the winds to be calm, but nothing happened. Obviously they believed that God could calm the storm, but it was a believing produced of their mind. Jesus simply spoke the words, "Peace be still," and there was a great calm (Mark 4:39). This is the distinguishing mark between mental believing and the faith which comes of Jesus. Mental believing is our effort to believe and see something happen. Jesus' faith comes with great peace. BELIEVE & SPEAK Someone may ask, "Isn't it important that we speak in faith?" Yes, faith speaks and confesses God's Word. Our positive confession of God's Word comes from faith, but faith doesn't come from positive confession, for faith comes from Jesus. That's why the Scripture says, "I believe, therefore I spoke," not I spoke until I believed. You may ask, "Doesn't faith act?" Yes, action comes from faith, not faith from action - for faith only comes from Jesus. VASCO'S NEW SHOES While preaching in the central square in Plovdiv, Bulgaria a mother brought her five-year-old son, Vasco, who had been born paralyzed. The mother had heard of the wonders of Jesus that had happened in our previous meeting in Sofia, the capital of Bulgaria. She was overwhelmed with what she had heard, and now certain that her son would walk she bought him a pair of jeans, a jean jacket and a brand-new pair of sneakers. The boy had never owned a pair of shoes; he had no need for them as he could neither stand nor walk. However, Vasco's mother was sure he would need shoes because Jesus would heal him. As I preached Jesus that night a beaming five-year-old and a crying mother came on the platform. Vasco ran back and forth showing the people the wonder that had happened. The people were beside themselves with joy. That's the faith of Jesus in operation. He gave Vasco's mother mountain-moving faith. Now I could tell that story and someone else who was lame could also buy new shoes and come to a meeting and nothing would happen. To the one person this was a living vibrant reality. To another person it may only be another faith technique. Faith is not a method; faith is a person. one. As each individual connects with Jesus, that person will act out their faith in Him. Jesus is the key to everything. Our miracle is in Him. The more we look at our own effort the worse it gets, while the more we look at Jesus the easier it becomes. I have increasingly made my whole focus to lift up Jesus. The apostle Paul writes, "0 foolish Galatians! Who has bewitched you that you should not obey the truth, before whose eyes Jesus Christ was clearly portrayed among you as crucified?" (Galatians 3:1) Faith, miracles, healings and wonders are not produced by methods or faith techniques. These blessings come when people fully see Jesus portrayed. This was Paul's preaching style: to vividly paint a picture of the awesomeness of Jesus. could boast, but since it doesn't, all boasting goes to Jesus. The next verse sheds light on how real faith comes. "For we are His workmanship, created in Christ Jesus for good works, which God prepared beforehand that we should walk in them." (Ephesians 2: 10) Everything we have is because we are new creations in Christ Jesus. We are believers because Jesus Christ, the Author and Finisher of faith, is in us. We nurture and grow this God-givenfaith by continually looking unto Jesus. Do you work for a "gift?" Obviously not! A gift must be free or it is no longer a gift. Faith is a gift of God. At times we hear people say, "I have seriously studied and prayed and my faith is growing. Ibelieve Ican do great things for God now." This type of speaking is an indication that faith's not at work, because we cannot work for faith and consequently we can't boast in it. Now, don't misunderstand me. I practice Bible reading, prayer, and spiritual discipline with all my heart. Still we may read and pray diligently and yet not have the faith that moves mountains. Only Jesus can give us this faith. When His peaceful presence touches you, another world will open up to you. It's no longer you trying to have faith. Instead, His faith, the faith of Jesus, is flowing through you. He is our TOTAL MIRACLE SOURCE. lieves through Jesus Christ. The law focuses on human performance and how good we can do. As long as we look at ourselves and our works we will fall short. Let's look again at the Roman centurion and the Canaanite woman, the only people to whom Jesus ascribed "great faith." Who were they? They were Gentiles or non-Jewish which means they were not under the Law of Moses. Not only were they not under the Law of Moses, in all likelihood, they were completely ignorant of the law. the resurrection of Jesus. In order to be saved we must believe that God raised Jesus from the dead (Romans 10:9). Until Jesus rose from the dead such faith was not possible. That's why the New Covenant begins with the resurrection of Jesus. Before that time the law was in effect, but once faith had come the law was no longer necessary. What is the law? How does it relate to us today? Without giving a lengthy historical analysis, the law is about what we can do. It has to do with self-effort, human performance and living up to a standard that "qualifies" us for God's blessings. The people of Israel tried this and failed miserably. God's objective with the Law was to show the human inability to live according to God's holy and perfect commandments. Simon Peter said that neither the Pharisees nor their forefathers had been able to comply with God's law no matter how hard they tried to (Acts 15:10). As the law showed us our inability to live up to God's standard, it also prepared us to be willing to receive grace. The more we see our inability, grace becomes our only hope. Grace is the unmerited, unearned, undeserved favor of God toward people. "Unmerited" means grace doesn't come by achievements or good things we have done. Being a leader, a pastor or bishop doesn't qualify us for grace. It doesn't come by merit. "Unearned" indicates that grace is not by our own effort, studies or hard work. Nothing we do can possibly earn us God's blessings. "Undeserved" simply means that we are unworthy in ourselves of God's favor. If we feel we deserve a blessing, miracle or divine favor we have in a sense disqualified ourselves from that grace. Faith and law cannot mix. Meanwhile, grace and faith flow together. "For by grace you have been saved through faith, and that not of yourselves; it is the gift of God, not of works, lest anyone should boast." (Ephesians 2:8-9) Do you see how faith is the opposite of human performance? Let's dissect what we read in Galatians 3:23-25: 1. The law was "before faith came" (v. 23); 2. The law was only until Christ came (v. 24); 3. When Jesus came, faith came. Faith is now a Person. Jesus is our faith (v. 23-25); 4. Once the Faith (Jesus Christ) has come we no longer obtain anything from God by the law, but throughfaith (v. 25-26). Everything is available in and through Jesus now. for a miracle. Real faith cannot function under requirements; it only works when the focus is on Jesus. By focusing on the requirements we will only see our own shortcomings. When we look at Jesus we see His abilities. Paul asked the Galatians, "Therefore He who supplies the Spirit to you and works miracles among you, does He do it by the works of the law, or by the hearing of faith?" (Galatians 3:5) The answer is obvious. The working of miracles was because of the hearing of faith, the hearing of Jesus Christ. When Jesus highlighted great miracles from the Old Testament, He focused on two people who were both outside the Law of Moses: a widow without food and a leprous Syrian general. These two were also ignorant of the requirements of the Law. Faith cannot operate alongside a list of requirements. It only works through Christ. "For the Son of God, Jesus Christ, who was preached among you by us ... was not Yes and No, but in Him was Yes. For all the promises of God in Him are Yes, and in Him Amen, to the glory of God through us." (2 Corinthians 1:19-20) "All God's promises" means everything God has ever promised. How do we receive these promises? Not by our performance, but in Christ. That way no glory goes to us, but when the miracle manifests it is "to the glory of God through us." NO MlltACLE FOItMULA This is why new believers receive so easily. They pray for a parking spot and get it. I remember as a young traveling preacher staying in the home of a new believer. When the pastor had asked the congregation if anyone would house the traveling minister during a week-long revival the recently saved businessman and his wife immediately responded, thinking they would have an opportunity to learn more about God. The couple owned a furniture factory and while I was their houseguest, several of the heavy-duty sewing machines used for upholstery broke down. To the amazement of the employees, the owner who just weeks earlier would have sworn and cursed, now laid hands on the sewing machines in Jesus' name, and somehow the sewing machines started working. It boggled my mind. These new believers received so easily. Why is this situation a rather common scenario? New believers have not yet been told of the "requirements" for a miracle. Often when new believers pray their only focus is Jesus who can do all things. Then one day we announce a seminar on "How to Receive from God" and we teach "Seven Steps to Victory" or "Ten Secrets to Your Breakthrough." We make the miracle complicated and soon new believers are discouraged. Suddenly the miracle is no longer focused on Jesus - it has become a formula. All too often that formula is all about us and what we must do, how much we must worship, rebuke the devil, study, pray, fast and meditate. Now the new believer realizes he should never have received any answer to prayer at all. After all, he has not lived up to the requirements. Faith is a gift from God but religion makes it a product of what we do. This completely contradicts Paul's teaching that faith does not work in conjunction with human effort. Jesus is able and willing to help them. I tell the people, "If you don't have faith, or if your faith is small, no problem, we'll ask Jesus to give you faith." You see, we focus only on Jesus and Him crucified. When the people believe this Christ-centered teaching, miracles happen. Some think we preach about healings and miracles. Really, I do not. I preach about Jesus as our righteousness and what He has already done, and miracles follow. When you preach signs, wonders and miracles you may see some results, but when you preach Jesus our righteousness, signs, wonders and miracles are the inevitable result as faith comes to the people who hear the Gospel. The same miracles happen to people who have been Christians all their life; if they are willing to come to God without any reliance on their own efforts. The problem is when Christians expect God to heal them because of their own faithfulness or good works. No, we all come to God like little children totally dependent on their parent. Bartimaeus, "What do you want Me to do for you?" (Mark 10:51) Notice, Jesus is not telling Bartimaeus anything that he should do. Instead, Jesus suggests that He will do something. Some today might have told Bartimaeus that he needed to break the spirit of fear, intimidation and blindness over his life. Others may have thought he should go back to the root of the sickness and break that, or some other spiritual exercise that Bartimaeus ought to have done. This is completely foreign to Jesus' healing approach. His question was simply, "What do you want Me to do?" Bartimaeus could obviously not do anything to be healed or he would have already done it. The healing that was about to happen was totally dependent on Jesus. Jesus never laid a heavy burden or a legalistic thought on a sick and needy person. Instead He helped that hurting person to tum their attention away from their own inability and lack, and onto Jesus who was able to do something about the situation. Maybe you want to lift your hands and praise and give thanks to Jesus right now. Say words like, "Holy Spirit, reveal Jesus more fully to me." As you become COMPLETELY JESUS-FOCUSED His faith begins to flourish in you. maybe this is alright after all." Then, twenty minutes after this experience we heard Steve's voice from the back of the auditorium speaking a message in other tongues prefacing it with "thus saith the Lord." If you are unfamiliar with this kind of a happening, it is described in Paul's writing to the Corinthians. A message in tongues and interpretation are two out of the nine gifts of the Holy Spirit mentioned there. Steve was giving a message in tongues and interpreting, prophesying to us who felt superior to him spiritually. The word he gave was very powerful and though we sensed it was a word from God we had a tough time receiving it. What business did God have to use such a troublemaker? If anyone should have been prophesying it should have been one of us who had attended the 7 am prayer meeting. We had been begging God and seemingly received nothing. Do you see how a religious legalistic mindset works? The legalistic condemning person hates the undeserved, unearned, unmerited favor of God. "Didn't Steve still need to get sanctified?" you may ask. Of course, but God does not give miracles according to how qualified a person is. He does it by faith. I've seen this scenario repeated hundreds of times. It's the hopeless and the hurting that are touched by Jesus. All Christian virtues, including humility and sanctification are very important. God's grace will work in us if we allow it to produce these qualities. However, possession of Christian virtues does not earn us points toward a miracle. As mentioned earlier hundreds of people have approached me saying, "Pastor Peter, pray for me. I have lots of faith. Just ask God to heal me now." I could be wrong, there could be some instance I have forgotten, but I can't think of a single person who approached me proclaiming how much faith they had who actually received their miracle. Faith is not an issue of human performance, but rather of connecting a person with Jesus. People who are focused on faith rarely receive; those focused on Jesus readily receive. we become peaceful. Faith is not rules concerning what we must do. When we see Jesus as big as He really is we relax in Him. When Jesus appears great to your inward eyes you automatically start speaking positively, confessing God's Word. In fact, you can't speak negatively when you see Jesus completely as big and awesome. This is entirely opposite of being stressed to live up to expectations, as if God was a scorekeeper in heaven counting points to see if you have shown enough faith to qualify for an answer to your prayers. Peter Youngren's faith isn't very good; that's why I hook up with Jesus' faith. If it's up to the sick person's faith or the preacher's faith, we don't have much hope. Sometimes people say to me, "Peter, you're such a man of faith." Of course, I like when people say nice things about me, but in myself I'm not a great man of faith. Truthfully, in myself I have little or no faith, but I have experienced thousands of times when Jesus' ability and His faith has flowed through me. Because of Jesus living in me I have full access to His faith. I yield to Him. It is stressful to pretend faith. If a doctor diagnoses I'm going to die in thirty days, my mind understands the implications of that diagnosis. I can't psych myself into some miracle-working faith; I need the faith of the Son of God. I would want to pray, "Lord, no matter how hard I try to believe, no matter how much I try to put on a good face, I know that Your faith is the only faith that works. Jesus, I just want to draw closer to You. Let Your life, Word, faith and power flow through me." tions to be healed. Jesus is relaxed in every situation. Consider the feeding of the five thousand. Even though Jesus knew what He was going to do He asked Philip, "What do you think?" Jesus didn't say, "I am the Messiah. I have the revelation. You better start bringing some empty baskets or this miracle is not going to happen." No, Jesus is at rest. You may have heard a lot of stressful preaching about how you must produce faith. It's one thing for healthy folks to be stressed out, but if you're on your deathbed and get taken into a healing service and once you get there they stress you out with so many instructions, it actually becomes worse than the hospital. That's not Jesus' ministry. For He said, "Come to Me, all you who labor and are heavy laden, and I will give you rest. Take My yoke upon you and learn from Me, for I am gentle and lowly in heart, and you will find rest for your souls. For My yoke is easy and My burden is light." (Matthew 11:28-30) You need not be stressed about the size of your faith. Instead, allow Jesus to get bigger before your inward eyes. Is Jesus big enough to touch your family? To remove your tumor? Big enough for your lung problem, psoriasis, eczema, migraine? Is Jesus big enough to heal your cancer? How big is your Jesus? Let nothing come between you and Jesus, not even your earnest attempt to have faith. Be at rest in Jesus! we don't have to seek healing or any specially anointed person, but our pursuit is after the Healer. If nothing happens at first when we pray then we just draw closer to Jesus and His Word. We don't blame ourselves or others, but instead we ask the Holy Spirit for an ever clearer revelation of Jesus. The Book of Hebrews says, "For he who has entered His rest has himself also ceased from his works as God did from His." (Hebrews 4: 10) Did you notice that? That rest comes when we cease from our own works. When we stop trying to have faith or earn our miracle we can rest in Jesus' love and power. aith flows freely when we are "nothing." When we are "nothing," Jesus is everything. The more "nothing" we are, the more faith will manifest. miserable failures without Jesus. Seeing our helplessness and hopelessness without Jesus sets the stage for Him to be our source, our everything. fulfilled. He sure looked like a fool. Abraham tried to make it happen in his own strength, but it only had an opposite effect. God said, "I am El Shaddai." El means "God," and Shaddai is translated "Almighty." The Hebrew word "shad" means a woman's breast. Some have translated this, "I am the mother-breast-milk God." The picture of God is that of our sustainer or the One who nourishes, in the same way the milk from the mother's breast nourishes the newborn. God was saying, "Abraham, draw from Me all you need. I am your strength, your nourishment, your sustainer, your life giver; cling to Me." The message echoed strong in Abraham's heart, "You have tried in your own strength to be blameless and to make this miracle happen. Now instead just cling to EI Shaddai, the Almighty. Rejoice in Him; let God be all that you need." You will only find genuine faith in a close relationship with the Lord. No real faith exists outside of Jesus Himself. No matter how hard Abraham tried, fought, and struggled for the miracle to happen, he came up with nothing. He was to learn the lesson that each of us must learn; our only hope is in God. Jesus said, "Without Me you can do nothing," but when He is our life, nothing is impossible. Cling to Jesus, just like a baby clings to its mother. Let Jesus be your nourisher and sustainer. which was not surprising because it was not the season for figs. Jesus cursed the fig tree, and the next day when the disciples passed the same way the fig tree was withered. They took note of it with astonishment. ,. us of a faith where there is no doubt in your heart. Many become disillusioned when they read Jesus' words, "Whatever things you ask when you pray believe that you have received them and you shall have them." (Mark 11:24) They write those words off, saying that it just doesn't work for them. It doesn't work if we try to make it happen through mental believing; it works only through God's faith. 5. Our task is to connect people with Jesus. You can connect with Jesus. He is ready to touch, lift and bless you. His presence is readily available wherever you are reading these words. Start to worship Him and thank Him right now. He is your EI Shaddai. CalIon Him; He will answer you. The expression in Hebrews 12:2 is beautiful, "Looking unto Jesus, the author and finisher of faith." We don't look 1Q Jesus, which would indicate that He is at some distance. Rather we are told to look unto Jesus. This indicates He is right here. We are like a baby looking unto its mother, drawing strength from the mother's breast. Jesus is our life, and when we pray it is His life we receive. This is greater than a miracle; it is Jesus Himself, who is the source of every miracle, living in us. PRAYER "God, I come to You only trusting in what Jesus has done for me. Jesus, I believe You put my sins away by Your death on the cross. I believe You were wounded for my sins and that You bore my sickness and disease in Your body on the cross. Jesus, by Your stripes I have been healed. Thank You that You are the source of all I need. Holy Spirit, reveal Jesus more fully to me. Let Jesus become so great that any circumstance, situation or sickness will pale in comparison. Thank You, Jesus, for Your miracle life and power flowing through me. I promise to give all the praise only to You for all that You have done. Thank You, Jesus. Amen." ABOUT THE AUTHOR Passion for the unreached has taken Peter Youngren to more than 80 nations. He has led evangelistic Gospel Festivals with crowds of up to 600,000 attending a single service. In addition, over 246,000 pastors and leaders have attended his training seminars. Hundreds of missionaries are supported around the world on an ongoing basis. 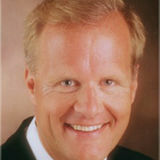 As founder of "Celebrate Jesus International," "Celebrate Magazine," "Celebrating Life with Jesus" TV program seen around the world, "Celebration Bible College" and the "Celebration Churches," Peter Youngren is committed to the Gospel reaching the entire earth before the return of Jesus Christ. This teaching will challenge and inspire you to enjoy the faith that moves the mountain every time. Only God's grace produces holiness, maturity and miracles. Discover how the new creation life releases a brand new "YOU." >ELEBR_ATING LIFE WITH JESUS . Three simple words take on a whole new perspective. An all-time classic! You have known the babe in the manger, the crucified Savior and the risen Lord. What about the exalted Jesus7 Discover who Jesus is to you today. in Guyana. "I have never heard such authority in preaching" is a common remark about this series. Youngren unveils principles that will make every Bible study a treasure hunt. (3cd) This message is crucial because God's heart is that His blessings would be easily accessed by everyone. The Heart Matters (3cd) This insightful teaching will lead to surprising conclusions in your life. The Blessing is Irreversible (3cd) A study where the all familiar word "blessing" takes on a deeper and more purposeful .. meaning than many ever thought possible. study you will catch a wave of God's love and purpose beyond your wildest dreams. Learn the spiritual principles of inward rest, coupled with high energy, resulting in satisfying achievements. This teaching will bring freedom in every area of life, as you discover who you really are. Enjoy teachings from the 2007 conference with Age Aleskjcer, Peter Youngren, Peter Karl Youngren and Dennis Shearer. will minister to everyday situations and struggles that every believer faces. Do JOu desire: - to have God's anointing and fire within you? - to build personal strength through the Holy Spirit? - to be equipped for what God has planned for your future? - to have a strong Bible foundation for your life and ministry? - to expand and deepen your prayer life, Bible knowledge and understanding? - to receive hands-on training within a vibrant, growing church and worldwide ministry? THE Challenge - People want to study God's Word and are unable to attend the school as fulltime students or unable to move to the Niagara Region. THE Solution - Students can receive impartation as they study God's Word right in their own homes. THE Way - Students receive the actual instruction presented in the Celebration Bible College classroom via DVD.The accompanying syllabus assists the student in following along with the DVD and absorbing the course material. THE Program - Courses can be completed at the student's own pace. The DVDs are available for use in a four-month time frame similar to a CBCsemester. Courses can be taken for spiritual growth, ministry training or leadership development. Celebration Bible College offers diplomas for one year, two year and three year programs. WATCM CELE B RATE.TV ..
ihere are only two individuals to whom Jesus ascribed "great faith." Who were they? What was their secret? How can every believer enjoy this mountain-moving faith? In this book you will discover the keys to the God-kind of faith. No more running on a treadmill chasing faith. Instead, faith will flow through you like the blood that flows through your veins.